Norwegian Prime Minister Erna Solberg speaks at Arctic Frontiers. January 21, 2014. © Mia Bennett. Although last week’s Arctic Frontiers conference in Tromsø, Norway focused on the activities of “humans in the Arctic,” from sleeping habits to snowmobile accidents in Svalbard, top politicians still made headline appearances. The Prime Minister of Norway, along with Greenland’s Prime Minister and Finland’s Foreign Minister, spoke on Tuesday, the second day of the conference. Tuesday’s attendance was actually higher than that on the opening day, evincing the high level of interest in the politicians’ speeches, perhaps especially since the Norwegian and Greenlandic prime ministers were both recently elected. Norway’s Prime Minister Erna Solberg opened her speech by stating, “The Arctic continues to be our most important foreign policy area.” While emphasizing Norway’s desire to play a strong role in the circumpolar north, she also underscored the international dimension of the region. “International cooperation is needed to address this situation,” she said with regard to Arctic development. She drew attention to the fact that participants from over 25 countries attended the conference, which clearly indicated “increased international interest in the Arctic.” Yet Solberg hopes that the international interest in Norway will work both ways. She added, “By building competencies at home, we will gain a strong voice on the world stage, such as addressing … global warming.” Norway has also built competencies in statecraft and diplomacy. The country has subtly asserted itself on the world stage as a quiet but a strong diplomatic force, with the Ministry of Foreign Affairs’ Peace and Reconciliation Unit involved in over 20 peace-related projects worldwide. With a small domestic market of only about five million people, Norway also hopes to develop commercial expertise that it can export to the rest of the world. DNV predicts that oil exports will still last at least through 2050, but production is falling, so the country needs to work on diversifying its other sectors. Solberg explained, “Knowledge is the key to adaptation and to improving productive capacities.” Norway realizes that it is not going to attract companies to set up shop amongst its fjords and valleys, for the cost of labor is extremely high. It can, however, harness its academic and industrial sectors and sheer wealth to produce cutting-edge solutions – particularly in the Arctic. 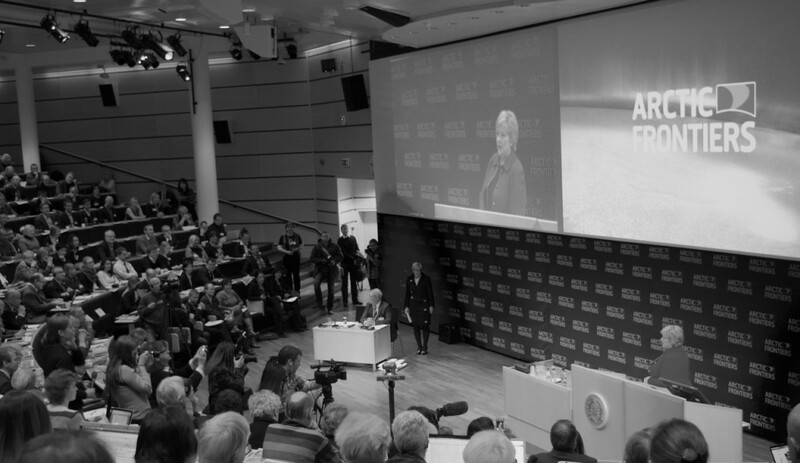 Solberg declared, “Knowledge is one of our top priorities and is at the heart of our policies in the Arctic.” Since the 1980s, Norway, along with neighboring Sweden and Finland, has focused on building strong economies in their northern metropolises, namely Tromsø, Umeå, and Rovaniemi, respectively – all of which are home to universities, too. Canada, by contrast, has only colleges, and no actual university, in its three northern territories. Knowledge building in the challenging environment of the circumpolar north requires multiple, diverse contributors. Solberg summed up the boundary-stretching cooperation now occurring in the Arctic that relies on Russian expertise, Finnish technology, and Korean shipyards. What’s more, even at the opposite end of the earth, Solberg reminded the audience of the Chinese icebreaker that came to the assistance of a Russian-owned vessel, the MV Akademik Shokalskiy. All of these are signs of cooperation, not competition and conflict, in the Arctic, she surmised. Norway needs to ensure that it replicates this international dimension of the Arctic on its university campuses. A member of the audience asked Solberg whether her government planned to institute tuition fees for international students, as normally, they, like Norwegian students, can attend university free of charge. Solberg said that a “lack of fees allows internationalization and cooperation in Norway.” For a country that’s one of the world’s most expensive, the lack of tuition incentivizes international students to attend schools like the University of Tromsø (UiT). A continuation of the no-tuition policy could support an increase in the international student population at UiT, one of the largest universities in the Arctic with almost 10,000 students. This would also help counter the trend of depopulation prevalent throughout much of the Arctic, particularly in Russia. Tromsø is so in demand – much of it from students – that the city is actually suffering from a housing crisis at the moment (story in Norwegian) while housing prices in the rest of Norway are falling. The growth rate of Tromsø’s population is one of the highest in Norway, at 1.8 percent a year, while the population in Murmansk in Russia, just a few hundred miles to the east, has continued to decline since the end of the USSR. 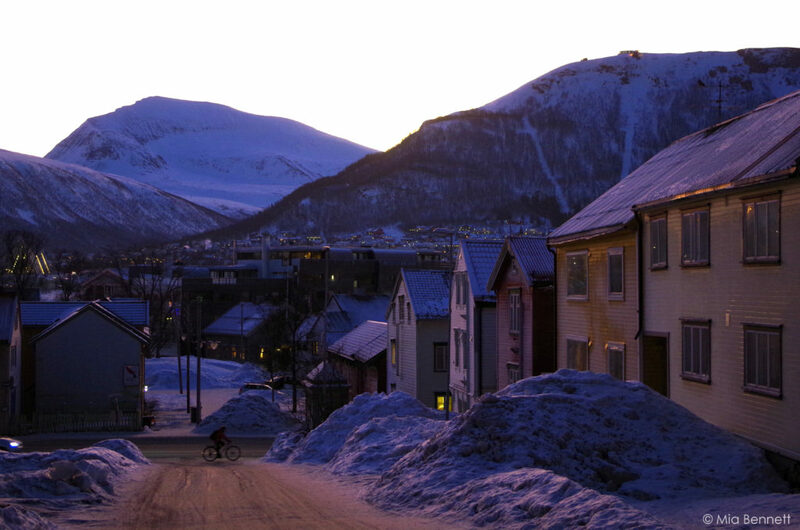 With people flocking to Tromsø rather than fleeing from it despite the long polar nights, the city symbolizes the success of the Norwegian government’s support of the knowledge economy in its northernmost region. Though there are a whole host of other conditions which affect development prospects, Tromsø and the other big cities in northern Fennoscandia demonstrate that it is indeed possible to diversify away from the primary sector in the Arctic.